Much as you would forego a lacklustre bread basket at your establishment, the concept of placing wrapped, pre-packaged butter on the table should also be relegated to the past. 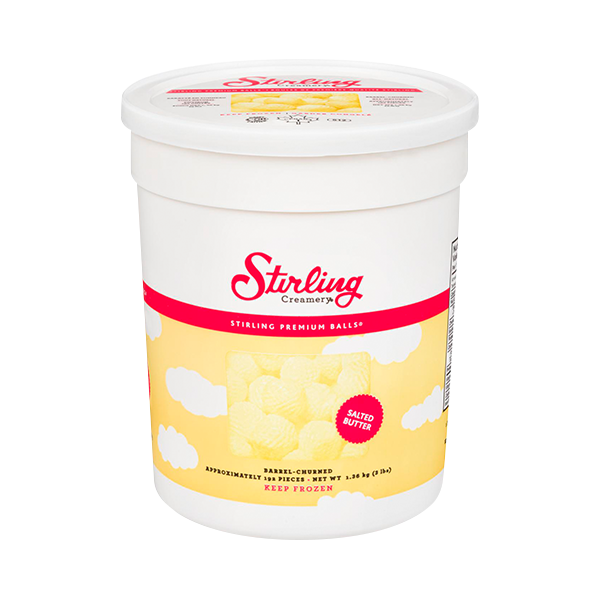 By offering Stirling Creamery™ farm fresh, sweet cream Butter Balls, you are making a statement as telling as the rich, clean taste that lingers on the palate. Enjoy the creamery fresh goodness of Stirling Salted or Unsalted Butter in our individual serving butter spheres. Take dinner to the next level or make a memorable occasion all the more special with this elegant addition to your dinner table. Much as you would forego a lacklustre bread basket at your establishment, the concept of placing wrapped, pre-packaged butter on the table should also be relegated to the past. 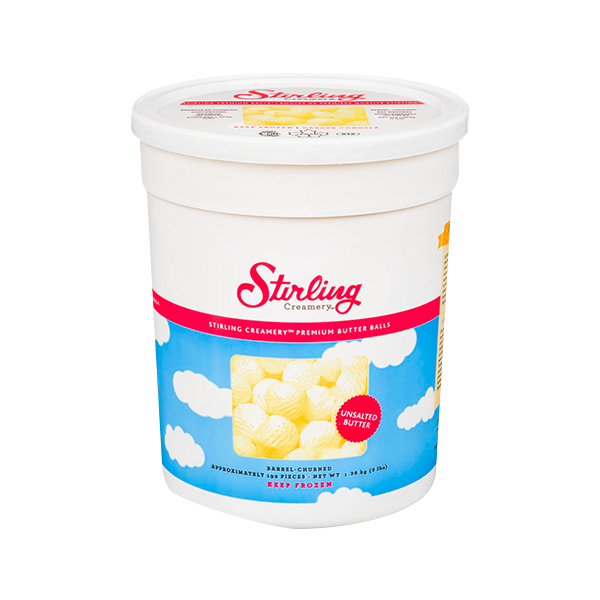 By offering Stirling Creamery™ farm fresh, sweet cream Butter Balls, you are making a statement as telling as the rich, clean taste that lingers on the palate.